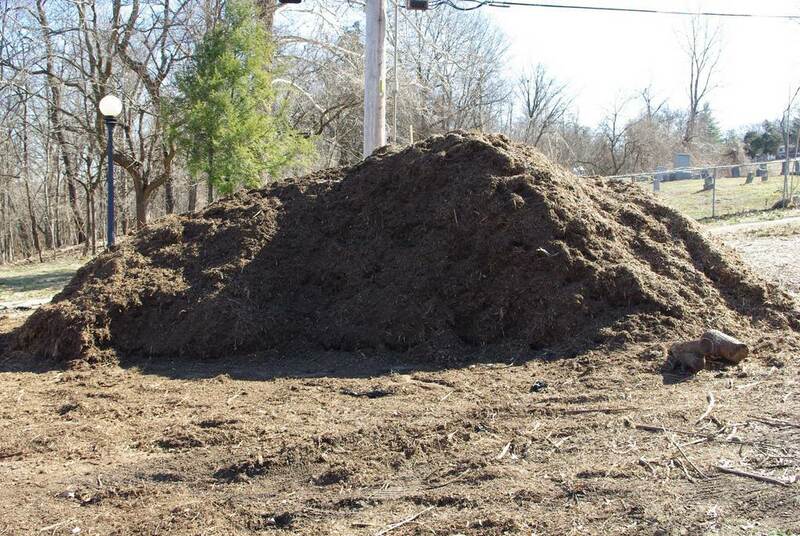 This mulch pile is usually busy, with a steady stream of gardeners scooping up the free stuff into pickup trucks, onto trailers, into the trunks of cars, into paper yard waste bags -- I've seen it all. In the spring that is. In early February it's a lonely place. Especially when it's about 22ºF (-5ºC) with a very strong wind. Brrrr! Only the truly dedicated gardeners who craft daily blog posts about their gardening activities were out here today. In other words I was the only one here, and probably had been the only one all week. 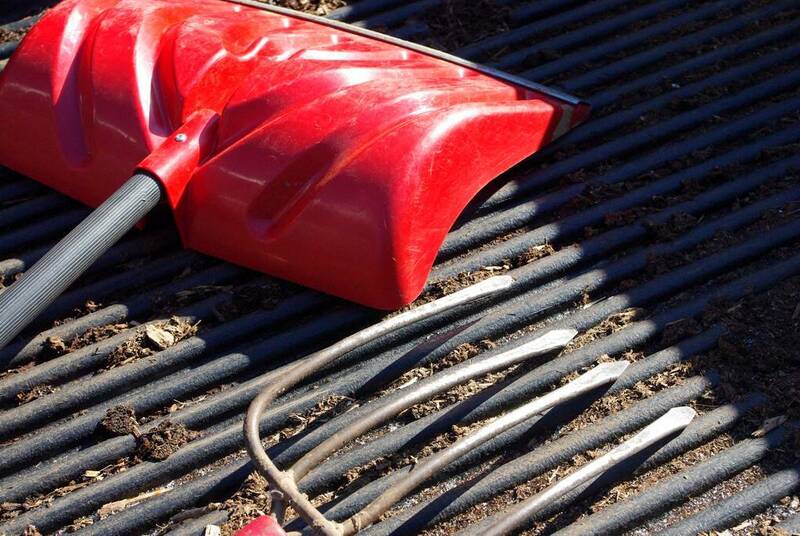 Good thing I remembered to bring the fork along with the snow shovel, as the pile had a frozen layer on top of it. I had to really do some chopping to get into the warm stuff below. If I wasn't already working up a sweat I would have sat down in the warmth and fought back the wind chill a bit. A car pulled in while I was hard at work -- ah, somebody else equally crazy dedicated? -- nope, just somebody turning around. There was plenty left for the other gardeners -- but still nobody queuing up. 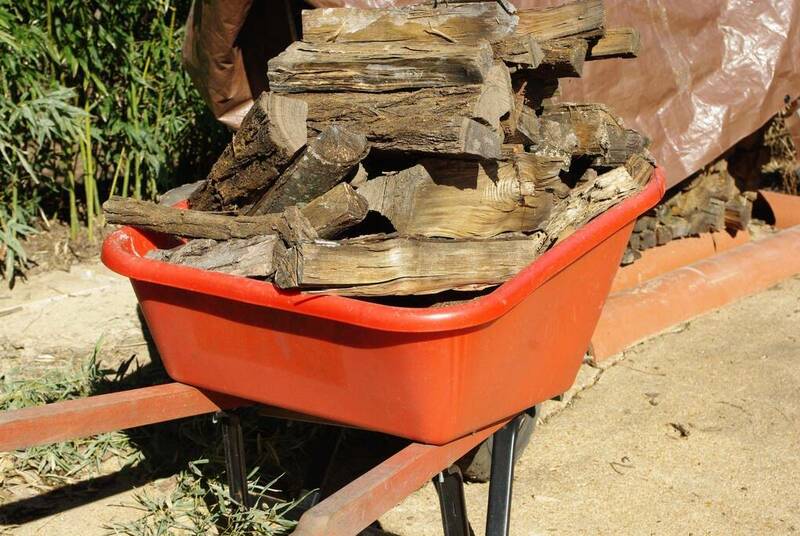 The wheelbarrow was still full of firewood from when I had to move it while cutting up the driveway. 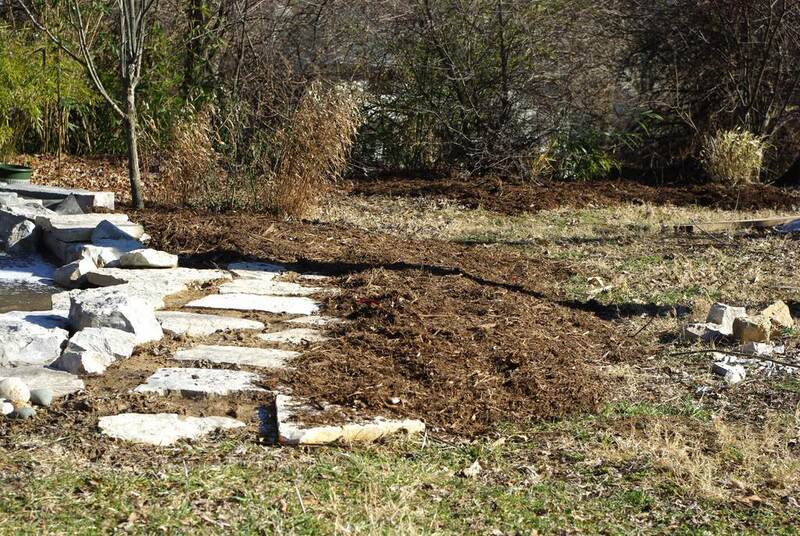 Easy to get rid of though, and I soon was spreading mulch throughout the back parts of the yard. 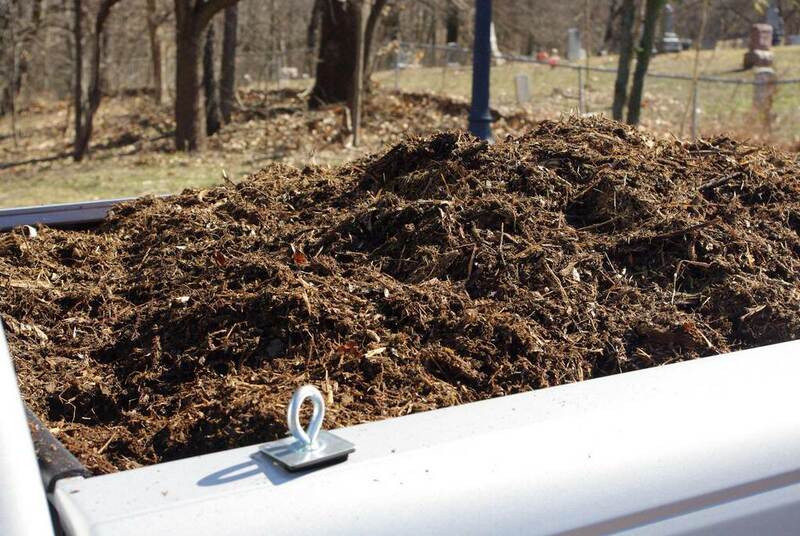 One thing about the community mulch pile: it's not the highest quality stuff you can get. It's a mixture of lots of different types of trees and shrubs, and I'm pretty sure most of it at this time of year is from the Christmas tree chipping service -- there was a nice piney scent in the air. I haven't mulched back here for a year or two, and it sure can use it. There were more weeds back here last year than I wanted. Know what else is back here? The surprise lilies! 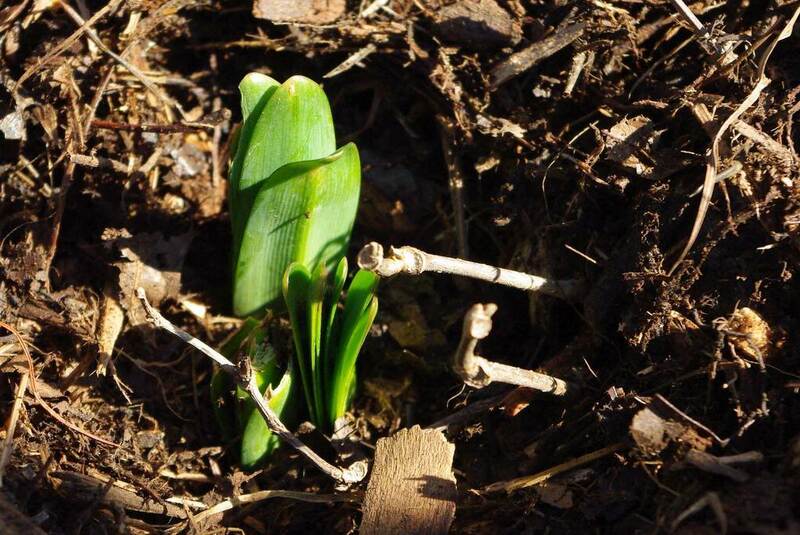 They're poking up their foliage a bit early this year, presumably because of the mild winter. 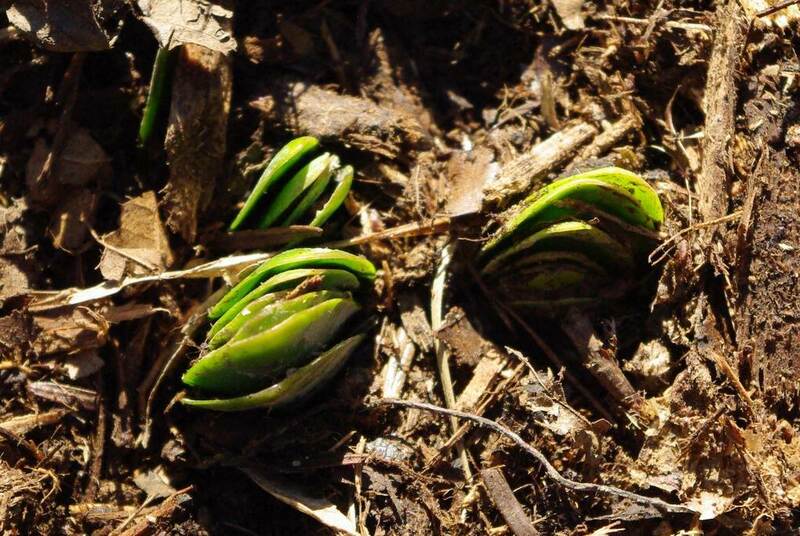 A little blanket of mulch will help protect them from the cold that we're getting right now. They probably don't need it though. Will this be the last cold spell of the year? We'll have to wait and see. 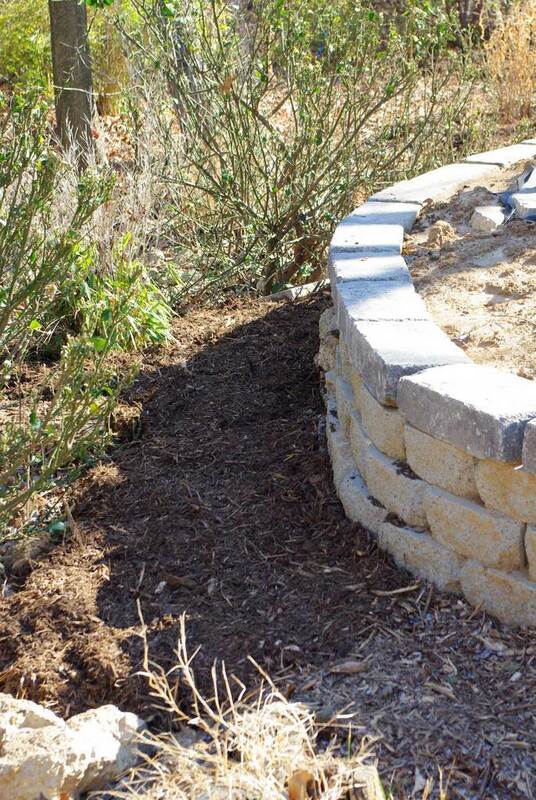 I did go back for two more loads of mulch, the last one on Sunday. Sunday was a few degrees warmer with no wind, so it almost felt like spring (not really). 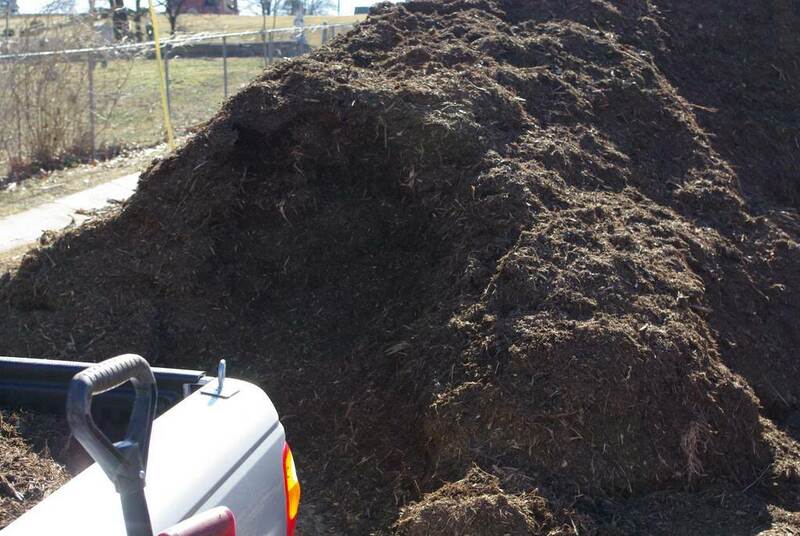 It didn't look like anybody else had been to the mulch pile either. What are they waiting for, spring? I can have most of this pile trucked away by then, I'm sure. 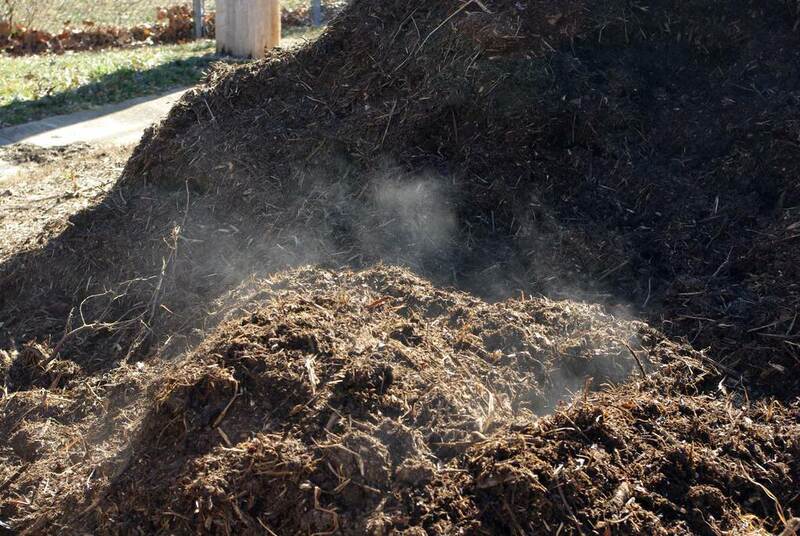 Who could resist such a steamy pile! I would have been shoveling alongside you. Me too! 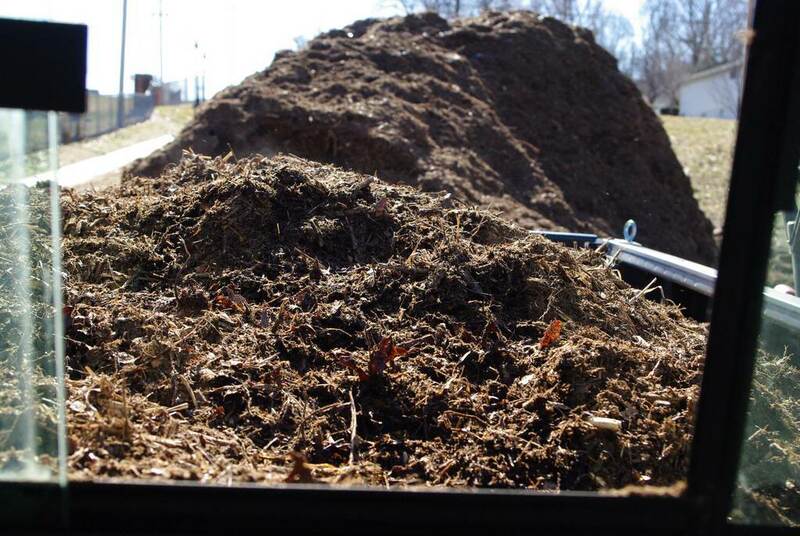 I wish we had a community mulch pile. 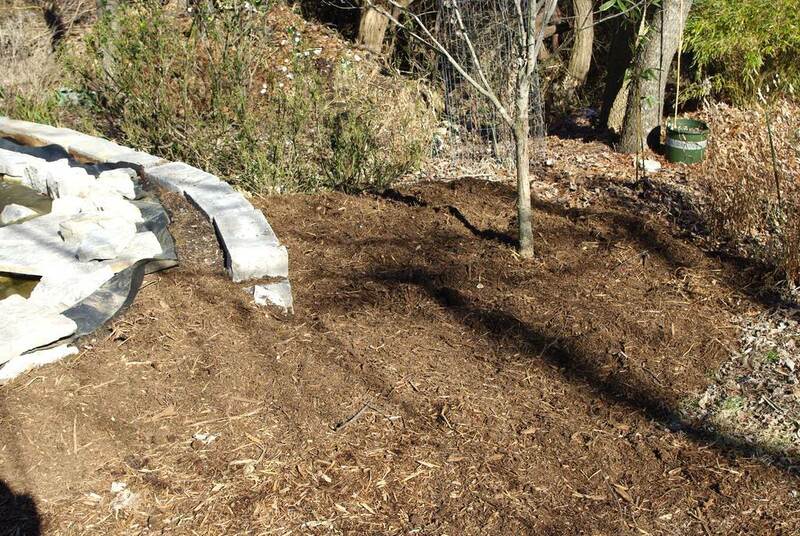 I would use way more mulch than I do now. Lovely to meet you through your blog, which is great by the way. 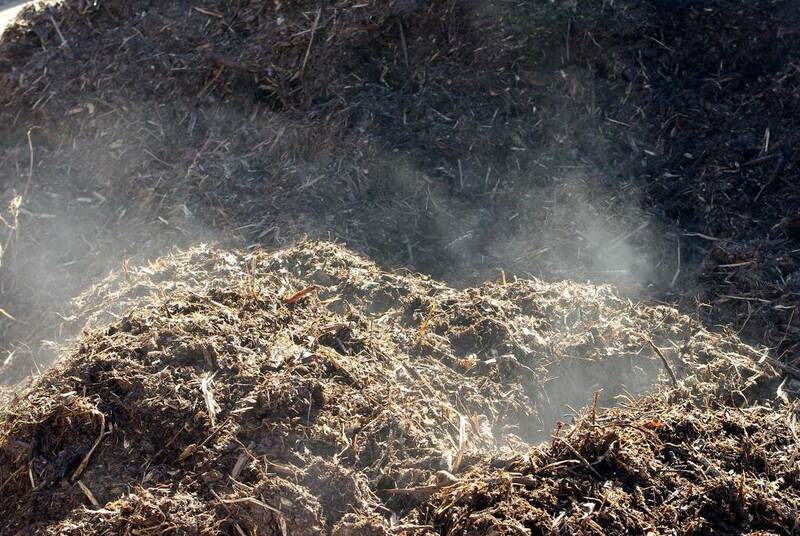 My favourite is the pile of steaming, fabulous mulch, I hear ya! There's probably a lot more where that came from because they are cutting down trees all the time and chipping them up. Wow, I wish we had something like that here. 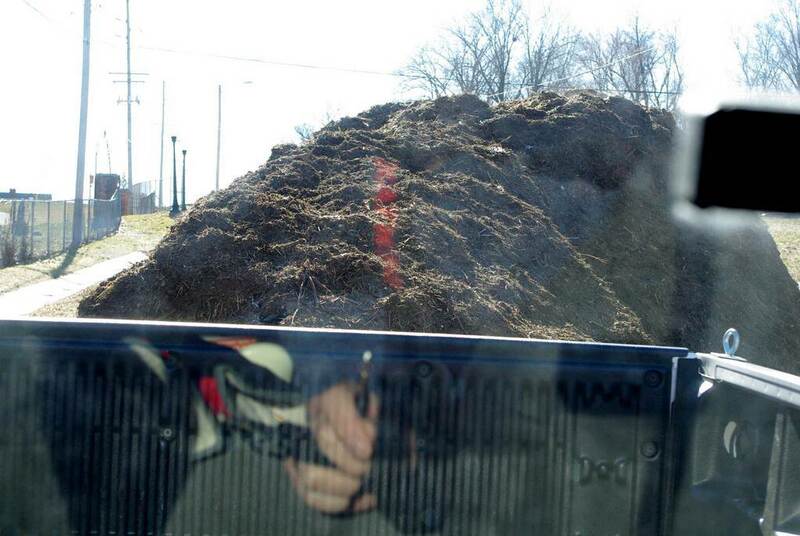 I'd so be there too collecting mulch, IF there was any left!